BTS’ “Boy With Luv (feat. Halsey)” is an upbeat track off of their latest EP, Map of the Soul: Persona. Its music video has already garnered over 130 million views, an unheard number considering BTS released the track just three days ago (it got a record-setting 78 million views on YouTube within the first 24 hours of its release). Though some may dismiss the group’s success as nothing more than a product of their looks or the fervent support of their fanbase (who refer to themselves as “ARMY”), BTS’ music more than holds its own; the production is consistently stellar, and their vocal performances balance sincerity with polish. Their work has recently caught the attention of several massive artists, including collaborators Steve Aoki, Nicki Minaj, Ed Sheeran, and with “Boy With Luv,” Halsey. In this entry of Hits decoded, let’s explore three musical elements that tie together the track. Typical pop songs have one main vocal hook that listeners can clearly identify as the track’s focal point – “Boy With Luv” is filled with them. When the first pre-chorus comes in with its effortless descending melody (“Listen my my baby…”), it feels as though it could very well be the highlight of the song. Then, the chorus kicks in with Halsey singing “Oh my my my,” and we’re given another tune that seems like it’s the definitive center. But just a few bars later, we’re given yet another new hook – the ascending effected vocals that create a call-and-response with the subsequent lines (“Love is nothing stronger / Than a boy with luv”). Even outside of these sections, there are countless other melodies sprinkled throughout the verses that are all memorable in their own right. With this many different hooks, how does the track ensure that the listener remembers each one? The answer is repetition, on both a macro and micro level. Each of the sections mentioned above are repeated three times throughout the entire song, but they’re also repetitive in how they’re individually structured – each section takes a smaller melodic seed and loops it back-to-back. By doing this, “Boy With Luv” imprints its many earworms in your head, so that you’ll be humming along by the time the third chorus comes around. Another musical element that’s key to the track is its arrangement, which features a tasteful blend between electronic and recorded instruments. 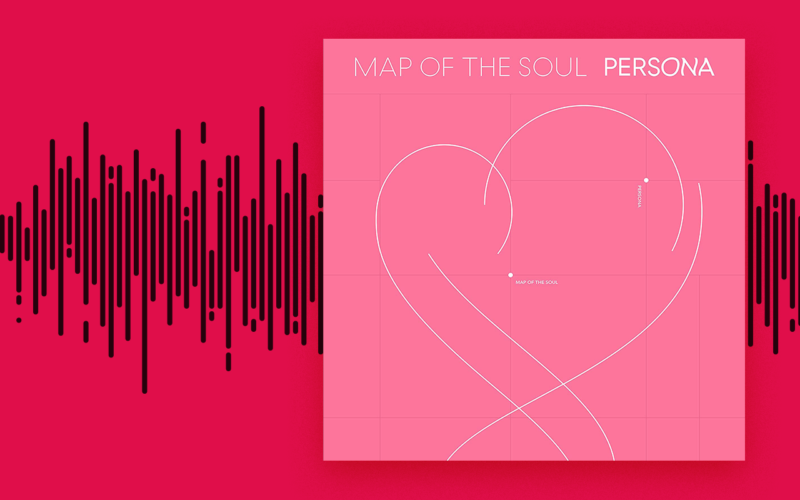 The synth chords and sampled drums give “Boy With Luv” its pop sheen, while the electric guitar strums and bass plucks give the track its human touch. The chord progression remains constant throughout the entire song, so changes in the arrangement (such as the drums kicking in for the chorus or the lead synth dropping out during the verses) become all the more important in providing direction from section to section. The final aspect that needs to be mentioned is the song’s unique connection to BTS’ past work. Back when they were striving to be a hip hop group, BTS released a track called “Boy In Luv” on one of their earlier EPs, Skool Luv Affair. Though the titles can be indistinguishable at a glance, the tone of “Boy In Luv” quite drastically contrasts “Boy With Luv,” featuring hard-hitting beats and rap-driven vocals. By recalling their past music with its title, “Boy With Luv” embraces BTS’ past while also drawing attention to their evolution. This dichotomy between old and new is a theme that reappears across the rest of Map of the Soul: Persona. The EP contains numerous moments that hint at past songs and styles, but there’s something distinctly new about the overall vibe – more than anything, there’s a pervading sense of effortlessness that definitely wasn’t there in Skool Luv Affair, and it even feels different from more recent releases such as Love Yourself 結 ‘Answer.’ “Boy With Luv” seems to mark a new chapter in BTS’ journey, and it’ll be interesting to see where they go next.